At 16, most kids dream of living in a huge house with a pool, bowling alley, and three sports cars in rotation. But the house in Brookline native Duncan Jurayj’s dreams isn’t a mansion. In fact, it’s quite the opposite: a 7 by 12-foot home skinny enough to fit in a driveway. And it’s not just in his dreams. He’s building it. 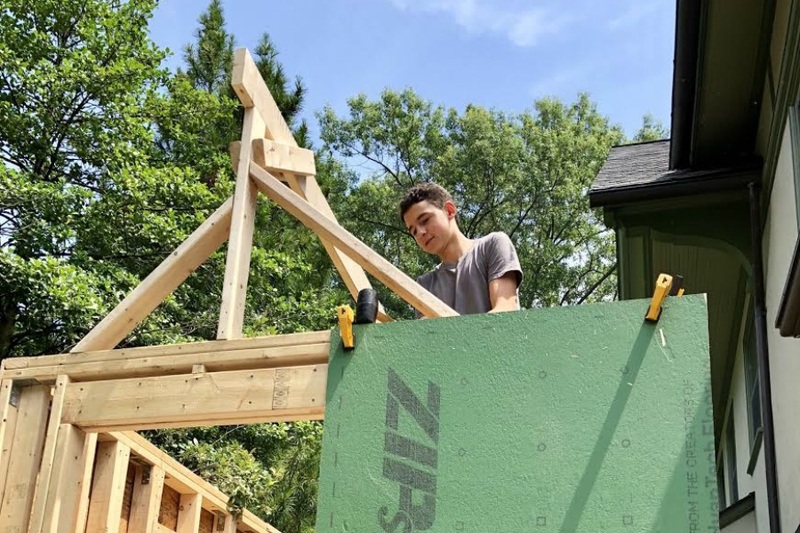 Jurayj, who begins his junior year at Beaver Country Day School in August, has been building his “tiny home” since school got out in June. With the help of a $5,000 grant from Beaver, his mission is to spread the philosophy of minimalism by showing and eventually donating the finished house. By the time it’s done, the 84-square-foot tiny home will have a kitchen, small living space, a bathroom, and a lofted bed. There will be some shelves and cabinets for storage, but Jurayj emphasizes that it’ll only be big enough for the bare essentials. The project’s inspiration came over two years ago, when Jurayj spotted a few decked-out Volkswagen minibuses on the side of the road. With a little digging, he learned that they were actually people’s homes, sparking his interest in the tiny home phenomenon and an anti-consumerist lifestyle. Thirteen students applied for the grant last fall, and Jurayj found out he had won it in January. Armed with the money to turn his fascination into a reality, the 16-year-old had a mountain of work to do. 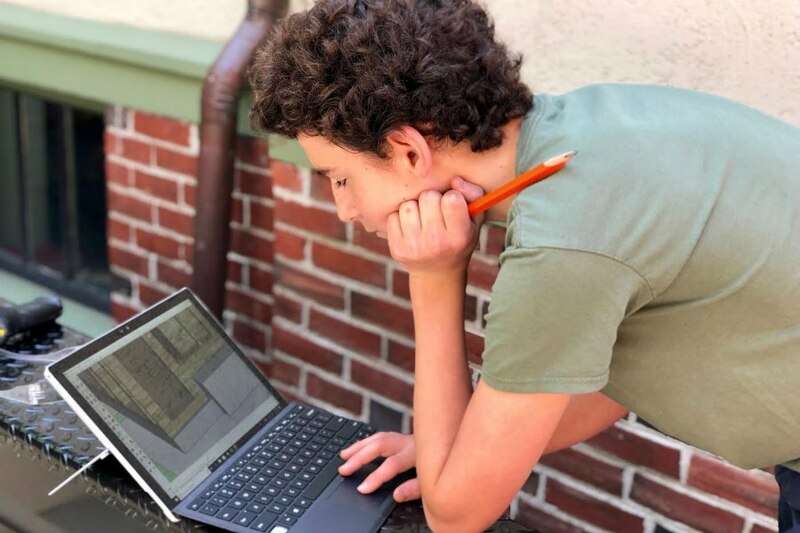 With no prior design or construction experience—and no one on hand to lend it—the Internet served as his teacher for everything from the design software to the actual building process. Although he looked extensively at pictures and plans of other tiny homes for reference, the house being built on a trailer in Jurayj’s driveway is his own original design. The preliminary planning for the blueprint began with his grant application, but he started crunching the numbers and drawing up the figures in earnest in the spring. By the time school got out in June, he was ready to start building. “Putting the walls up was really satisfying to watch happen, finally seeing it as a structure,” Jurayj says. 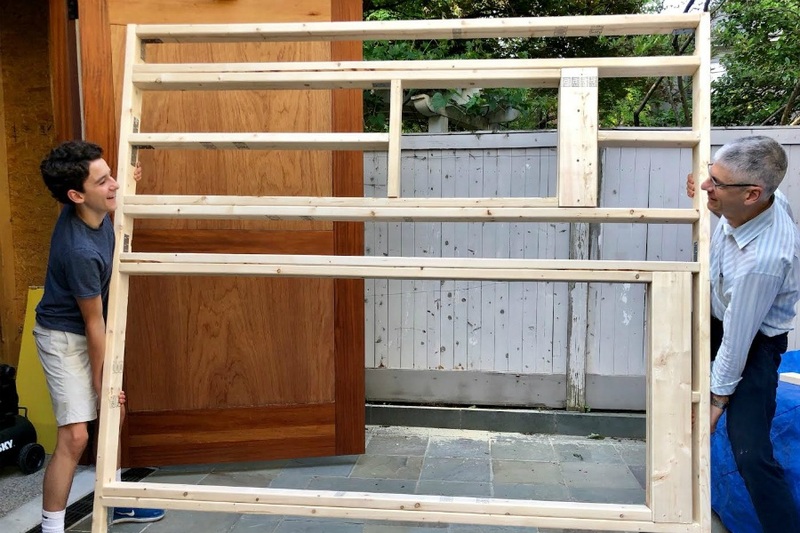 Despite the spatial challenges of building an entire home (no matter how tiny) on a trailer in a driveway, Jurayj is confident that the exterior will be done by the time he heads back to school in August. He’ll probably need to do some interior work on the weekends, he says, but nothing that will get in the way of the challenges of junior year. Jurayj hopes to use the completed tiny house to spread the minimalist message beyond his driveway to as many people as possible. Starting at Beaver Country Day, he plans on exhibiting it to students before hopefully donating it to someone who needs shelter, either directly or through a local non-profit. But before he can do that, Jurayj still has a little work left to do in his own life. He laughs, explaining that the rest of his family hasn’t exactly followed suit.